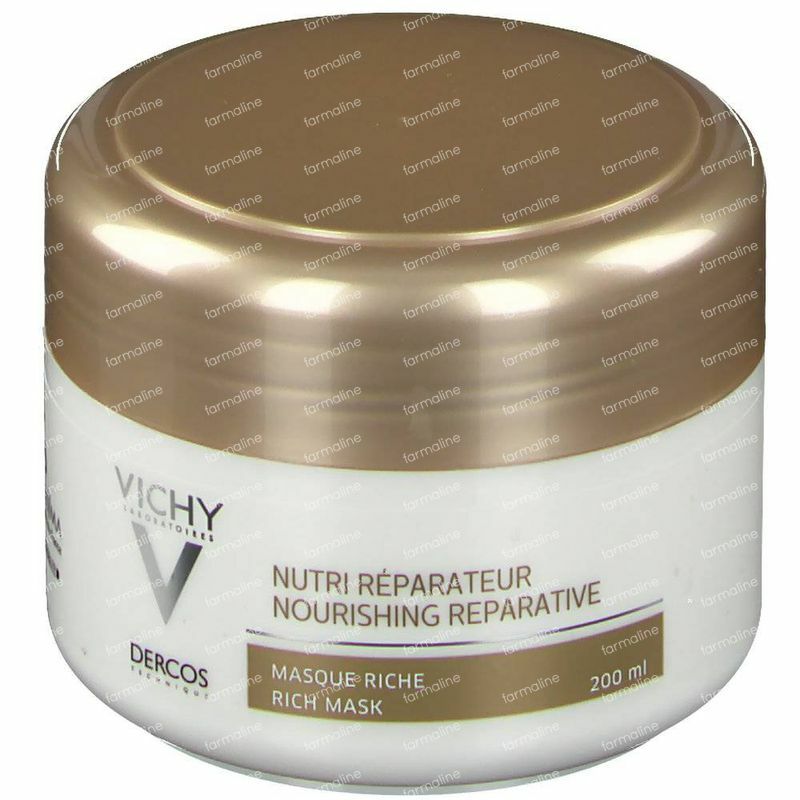 Vichy Dercos Mask Repairing Care 200 ml order online. 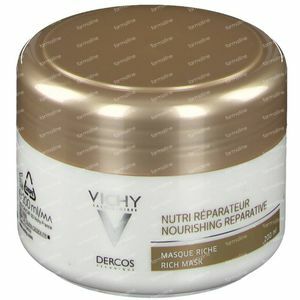 Vichy Dercos Nourishing Reparative Rich Mask is specially designed for dry and damaged hair. 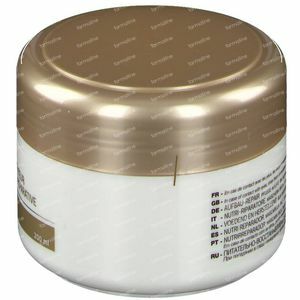 It intensely nourishes and repairs fibre, while bringing shine, light and silky touch. Healthy hair is composed of keratins and lipids, 2 essential compounds guaranteeing hair integrity. 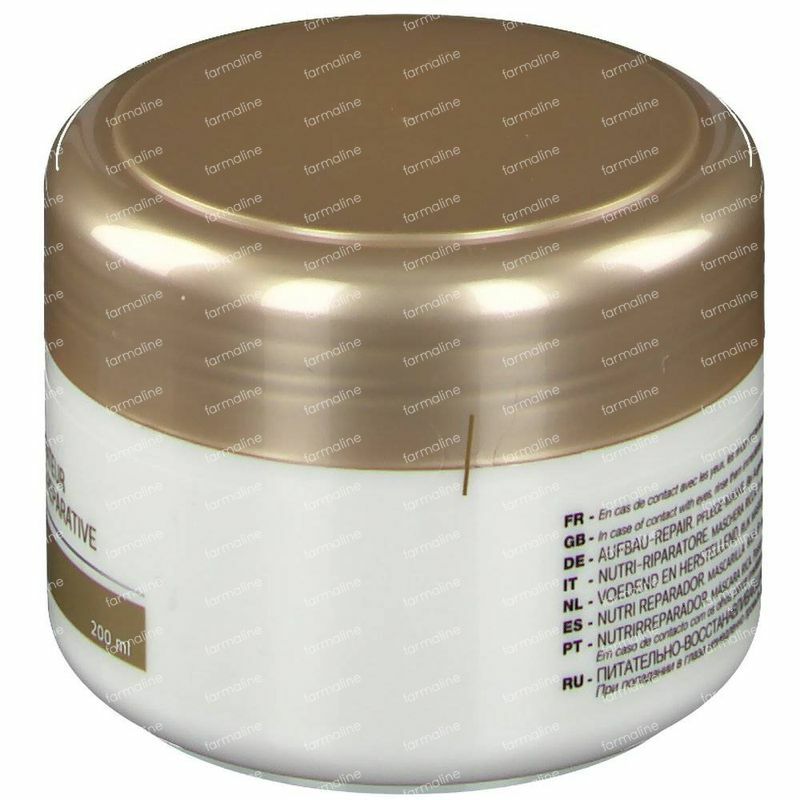 Under the effects of external attacks (blow-dry, excessive colouring, UV...), hair's natural fibre changes, and it becomes dry and damaged. Vichy Dercos Nutri Repair Cream Shampoo intensely nourishes and reinforces hair fibres for healthy looking hair. Reconstructs the hair on the surface as well as deep inside, in 10 treatments. 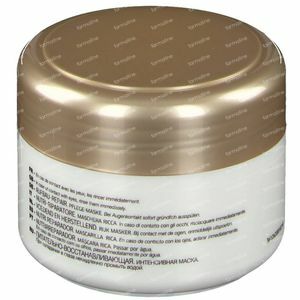 Damaged hair is just as healthy as natural hair, and smooth, radiant and stress resistant. Prolonged action, up to 10 washes. Shampoo + mask. Apply one or two dabs of conditioner to washed and towel dried hair. Leave in for 1 minute then rinse well. 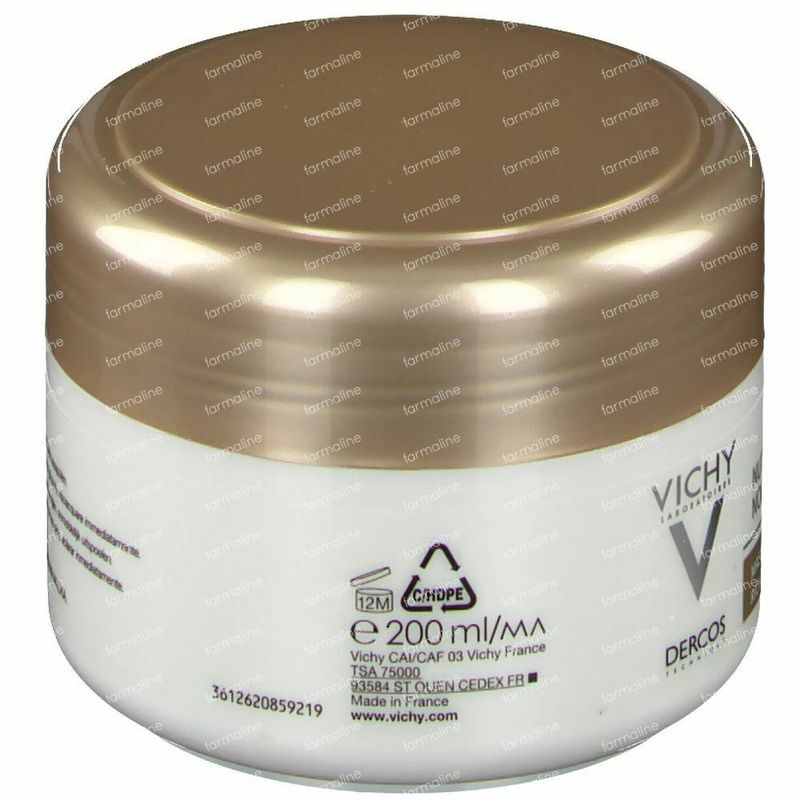 Aqua, Cetearyl Alcohol, Amodimethicone, Paraffinum Liquidum, Dipalmitoylethyl Hydroxyethylmonoim methoxulfate, Cetyl Esters, Amodimethicone, Arginine, BHT, Caprylyl Glycol, Carthamus Tinctorius Oil, Cetrimonium Chloride, Chlorhexidine Digluconate, Citric Acid, Cysteine, Ethylhexyl Methoxycinnamate, Glutamic Acid, Proline, Prunus Amygdalus Dulcis Oil, Rosa Canina Fruit Oil, Serine, Trideceth-6, Parfum (Fragrance). This is quality stuff, super nourishing and it makes my hair so smooth and supple without the heavy feeling. I recommend this to everyone after a chemical treatment.